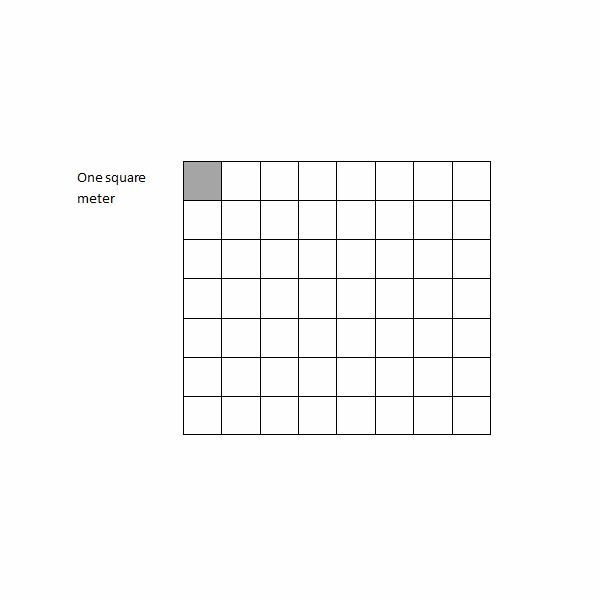 Without overlapping or leaving gaps, cover the rectangular figures with “unit squares". To determine the areas of geometric figures, count the number of “unit squares" used to cover the figures. 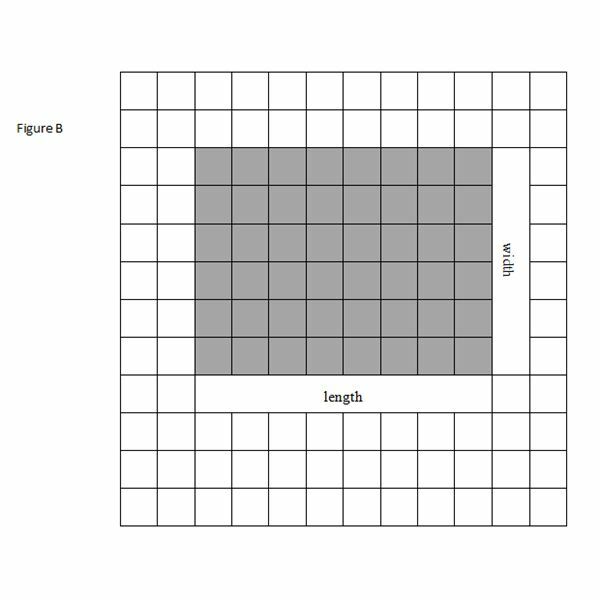 Record the lengths and widths of the rectangular figures, multiply the lengths and the widths, compare the products to the areas. Lesson Objective: The lesson is aligned to the Common Core State Standards for Mathematics – 3.MD.7a Geometric Measurement – Relate area to the operations of multiplication. 1. Identify the side length of the “tile" on the graph paper as one unit. 2. 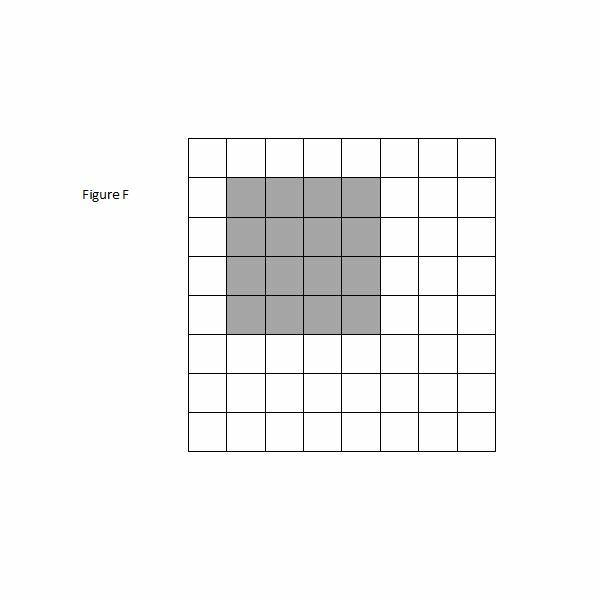 Identify the area of the “tile" as one square unit. 3. 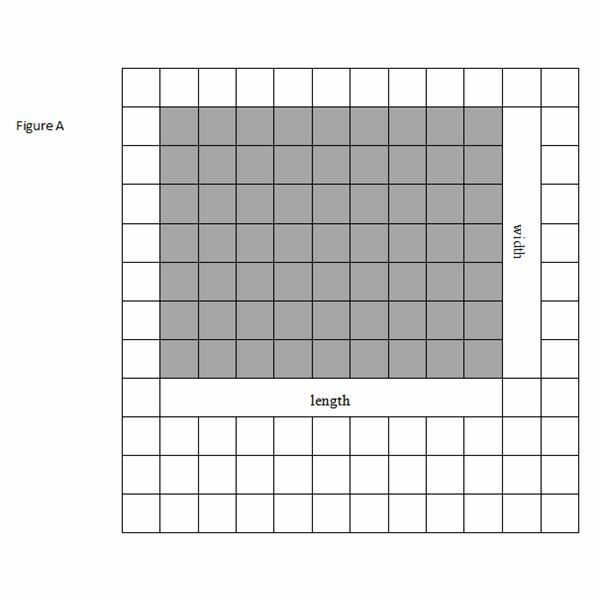 Count the number of “tiles" shaded in Figure A. 4. How many “tiles" are shaded in Figure A? 5. 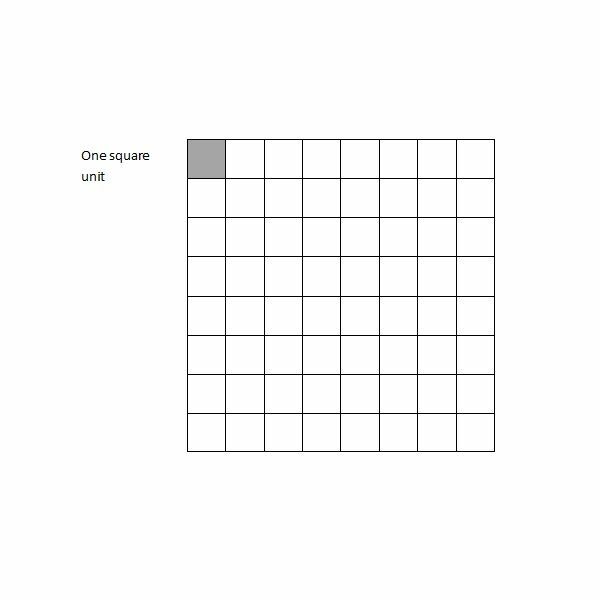 What is the area, in square units, of Figure A? 6. What is the unit length of Figure A? 7. What is the unit width of Figure A? 8. Multiply the length times the width of Figure A. 9. 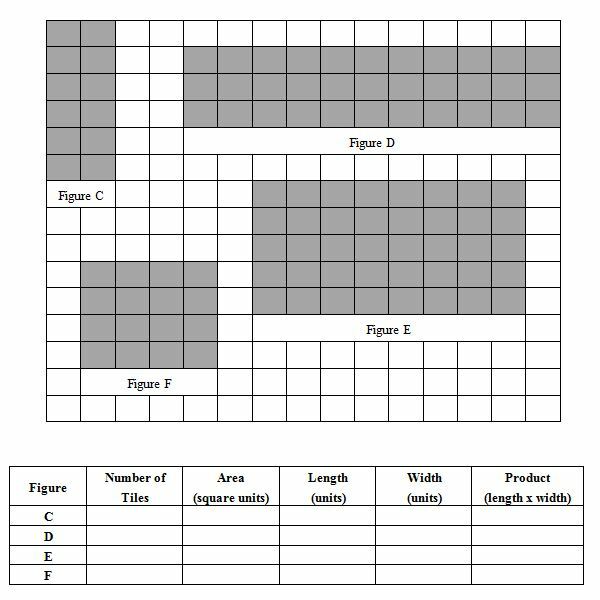 Compare the number of tiles used to cover Figure A to the product of the length and width of Figure A. 10. Write a statement describing the comparison. 11. Count the number of “tiles" shaded in Figure B. 12. 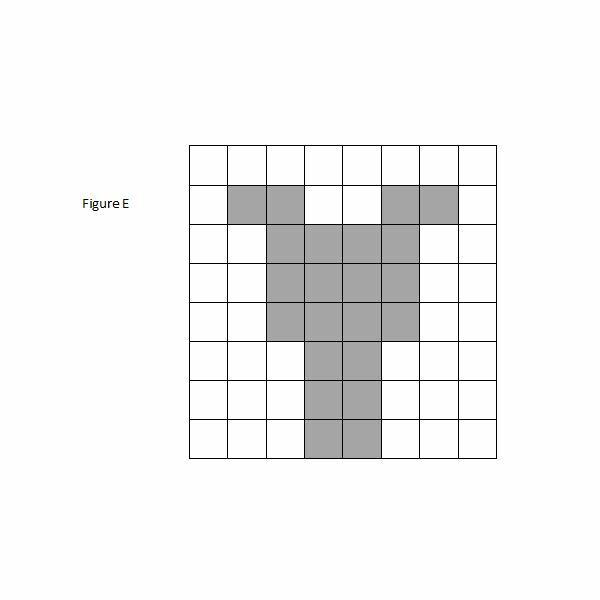 How many “tiles" are shaded in Figure B? 13. What is the area, in square units, of Figure B? 14. What is the unit length of Figure B? 15. What is the unit width of Figure B? 16. Multiply the length times the width of Figure B. 17. 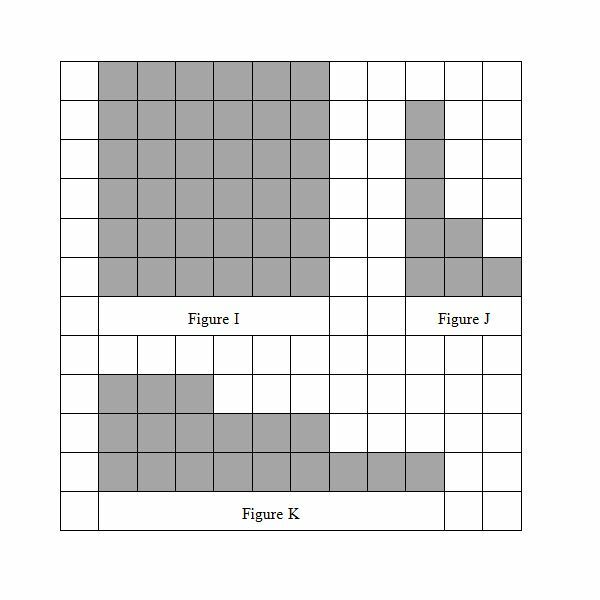 Compare the number of tiles used to cover Figure B to the product of the length and width of Figure B. 18. Write a statement describing the comparison. 10. The number of tiles used to cover Figure A is 63. The product of the length, 9, and the width, 7, is 63. The number of tiles used to cover Figure A is the same as the product of the length and the width of Figure A. The area of Figure A is 63 square units. 18. The number of tiles used to cover Figure B is 48. The product of the length, 8, and the width, 6, is 48. The number of tiles used to cover Figure B is the same as the product of the length and the width of Figure B. The area of Figure B is 48 square units. 1. 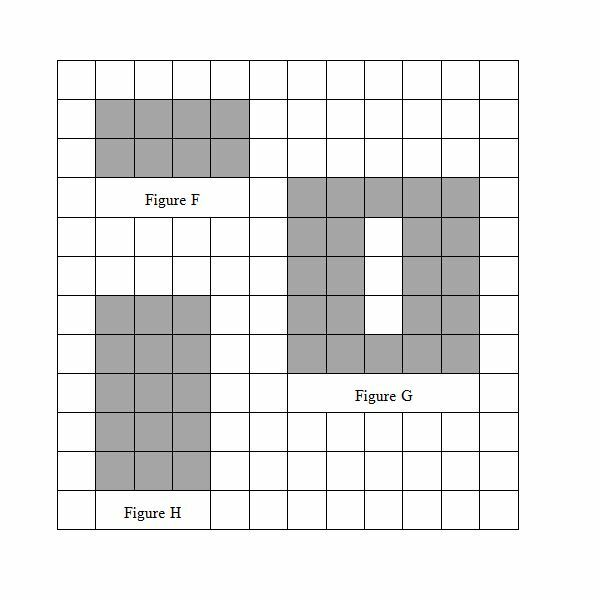 Record the number of tiles shaded in Figures C, D, E, and F.
2. Record the area, in square units, of Figures C, D, E, and F.
3. Record the lengths and the widths of Figures C, D, E, and F.
4. Record the products of the lengths and the widths of Figures C, D, E, and F.
5. 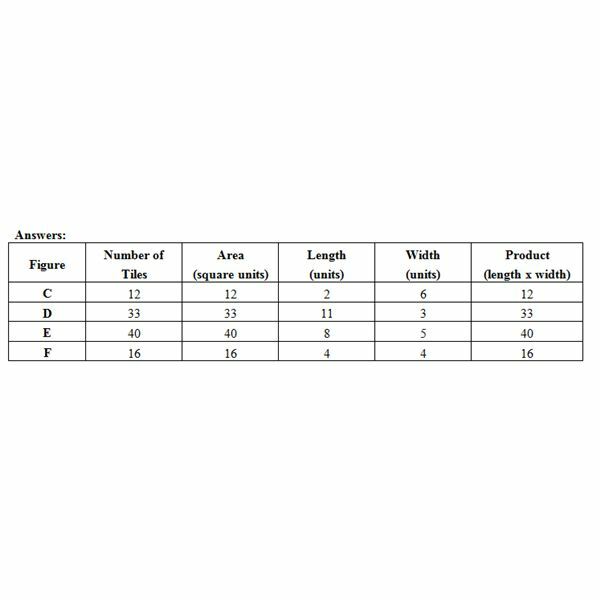 Write a statement to compare the number of tiles used to cover the figures to the products of the lengths and widths of the figures. 6. The numbers of tiles used to cover the figures is equal to the products of the lengths and the widths of the figures. 7. Count the number of “unit squares" shaded in Figure D.
8. 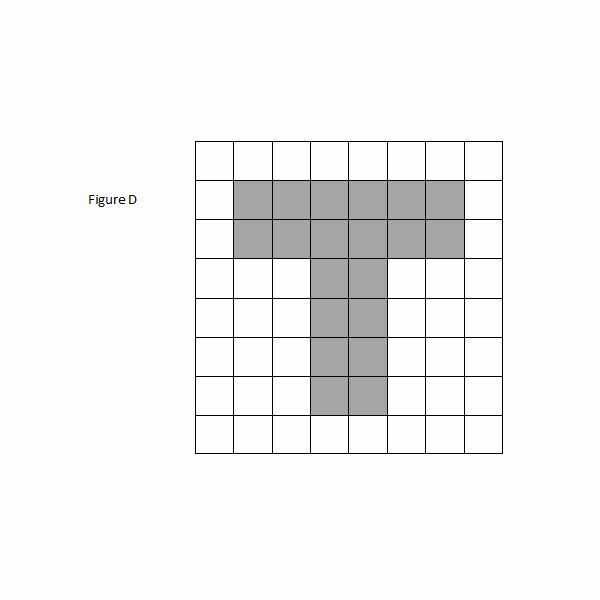 How many “unit squares" are shaded in Figure D? 9. What is the area, in square centimeters, of Figure D? 10. Count the number of “unit squares" shaded in Figure E.
11. 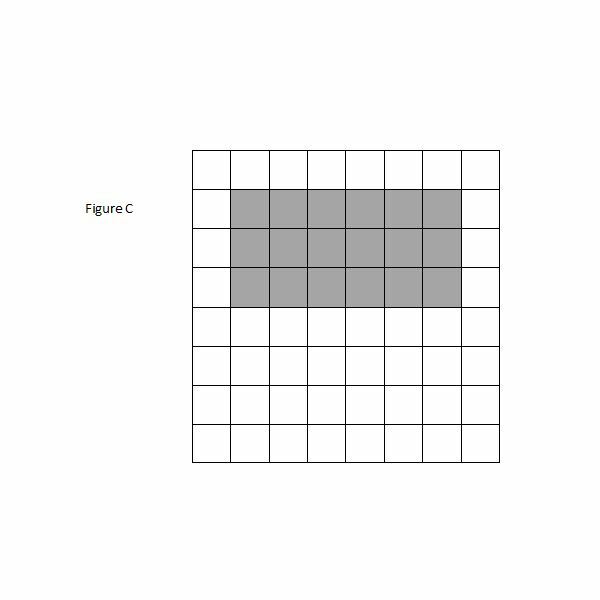 How many “unit squares" are shaded in Figure E? 12. What is the area, in square centimeters, of Figure E? 13. Identify the side length of the “unit square" on the graph paper as one meter, m.
14. Identify the area of the “unit square" as one square meter. 15. Count the number of “unit squares" shaded in Figure F.
16. 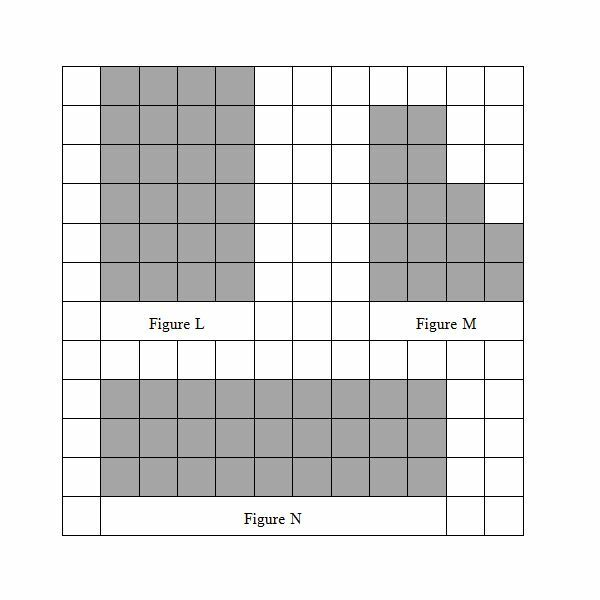 How many “unit squares" are shaded in Figure F? 17. What is the area, in square meters, of Figure F?